Paternity is the state of being a father of a child. The Florida Legislature has done a brilliant job of seriatim (one step at a time) identifying how a paternity action works in Florida. First, Florida Statute 742.011 tells us that a pregnant woman, a woman that has given birth to a child, or any man that believes he is the father of a child, or even the child him or herself may ask the Circuit Court to officially declare the paternity of the child if it had not already/otherwise been established as a matter of law. If you have any questions please contact the Jacobs Law Firm PLLC to speak with an Orlando Paternity Lawyer, and paternity attorney in Orlando today about paternity and child support in Orlando. 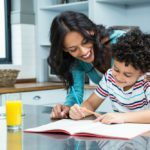 Read on to learn more about an Orlando paternity affidavit/acknowledgement of paternity affidavit. Regarding venue, similar to divorce actions, paternity actions must be brought in the Circuit Court of the county where 1. The petitioner lives, or the county where 2. the respondent lives/resides. The timing of a paternity action is important. A paternity action may be initiated while the child is in utero (before birth), however, the Circuit Court has no jurisdiction to enter a final judgment/court order until the child is born. It may be important to contact an Orlando Paternity Lawyer and paternity attorney in Orlando to find out your rights. There is good news for parents that agree on the paternity or the child. 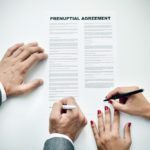 Parents may mutually, before a notary public and two witnesses, sign an Acknowledgement of Paternity Affidavit. Signing this affidavit (it must be signed under oath) means that the mother is agreeing, under law, to the identity of the child’s father. The father is agreeing that he is the biological gather of the child and that both parties will be financially responsible for the child’s needs until the child reaches the age of majority, which is 18 in Florida. This Affidavit takes 60 days to officially go into legal effect. During those 60 days, either parent may seek to revoke their signature, however the burden of proof for revocation is extremely high. HERE is a link to the Affidavit provided by the Bureau of Vital Statistics. Orlando Paternity Lawyer, and paternity attorney in Orlando Jonathan Jacobs can help answer your questions. Call us today! 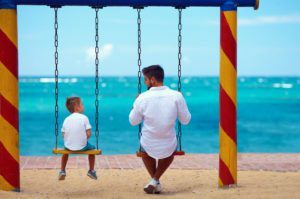 What do you need to know about paternity and child support in Orlando? The primary issues that mothers and putative fathers litigate in a paternity action (Orlando Paternity Lawyer Jonathan Jacobs is here to help) are: timesharing (sometimes referred to as custody), health/dental/life insurance for the minor child (for the protection and healthy live of the child), shared or sole parental responsibility (regarding which parent will make the major and day-to-day decisions for the child’s welfare), and most essentially, the parties generally fight over child support payments (retroactive and/or future). Pursuant to Florida Statutory and family law case precedent, there is a default presumption that the child’s mother retains 365 overnights of parenting time and sole decision-making authority/responsibility over the minor child. Keep in mind that there is a fine legal distinction between a man considered by a court of law to be the legal father of the minor child, and the man that is the biological father of the child. 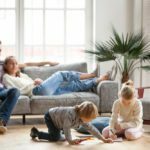 For example, it is important to know that When the mother of a child is married at the time of the child’s birth, her husband is determined to be the legal father of the child. In many ways, it is less complex to litigate child custody cases in a divorce proceeding. Pursuant to Florida Statute 742.045, reasonable attorney’s fees and/or suit money (temporary money to keep the needing party financially secure during the pendency of the proceedings) may be awarded to the party with limited financial means that is initiating or defending a paternity suit. Orlando Paternity Lawyer and paternity attorney in Orlando may be reached at (407)310-5636 or by e-mail at Jonathan@JJLawFL.com for more information. 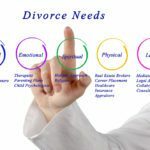 The Jacobs Law Firm also litigates contested divorce and uncontested divorce, as well as other family law cases.